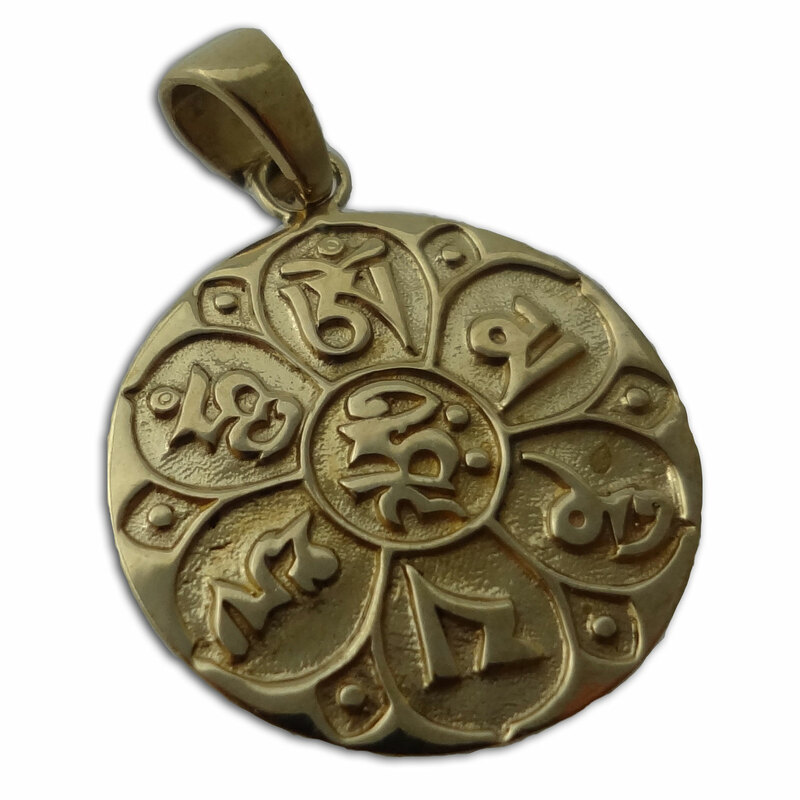 Om Mani Padme Hum Pendant, the Buddhist Mantra of Compassion, made of recycled brass. The mantra is carved out in Tibetan text. 3 cm, 6.5 g. The Buddhist mantra Om Mani Padme Hum means "hail to the jewel of the lotus" or look within for the peace of the Buddha, not outside self. the jewel is in the lotus.